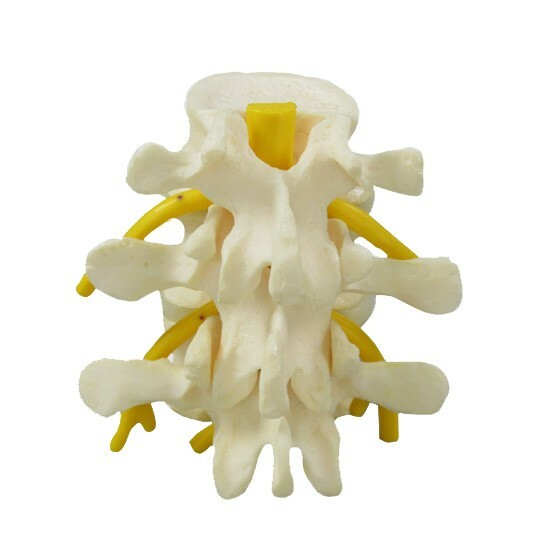 Vertebrae Anatomical Model LUMBAR L2-L4 3-pc. 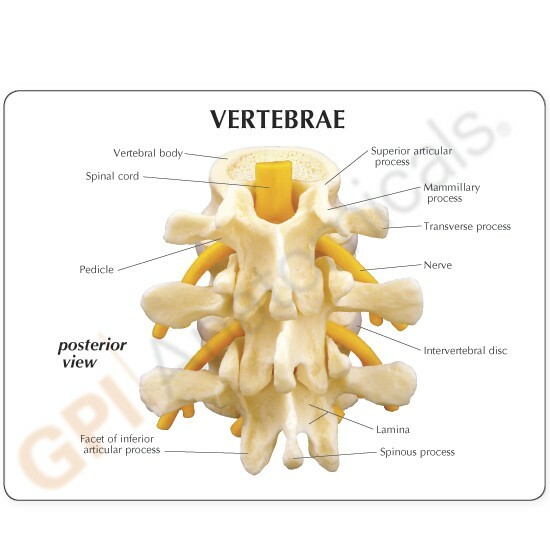 Full size normal L2, L3, L4 Vertebrae with intervertebral discs and lumbar nerve section. 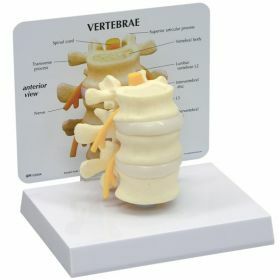 Fully articulating model. 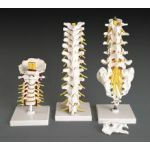 Includes base and mounting pin for display. Approx. Height 3" x 3" x 3" inches. 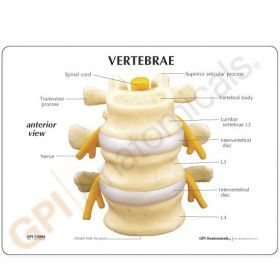 Suitable for Orthopaedics, general medicine, anatomical study, training for surgical dissection, rehab, sports medicine, and for patient education/demonstration of procedures. 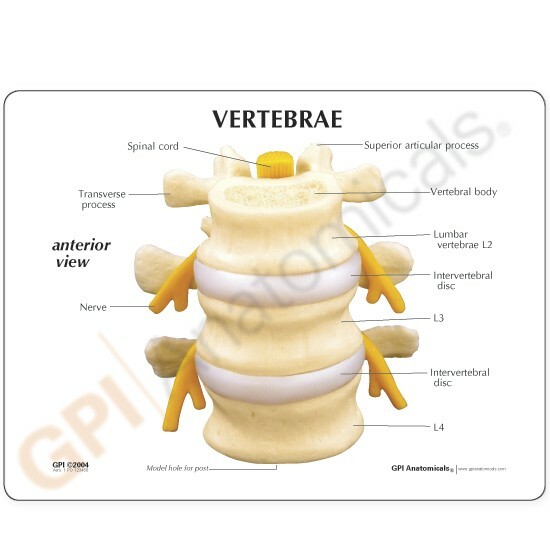 Ideal for physician/nursing/health professional office, classroom, patient training, or other clinical areas. 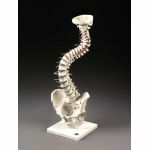 Note: Check out our other Orthopedic, Chiropractic, and Medical Anatomical Model listings including the Muscled Hip, Spine, Cervical, Knee, Shoulder, Elbow, Hand, Foot, and our new Osteo-arthritic Knee, LFA #1100.